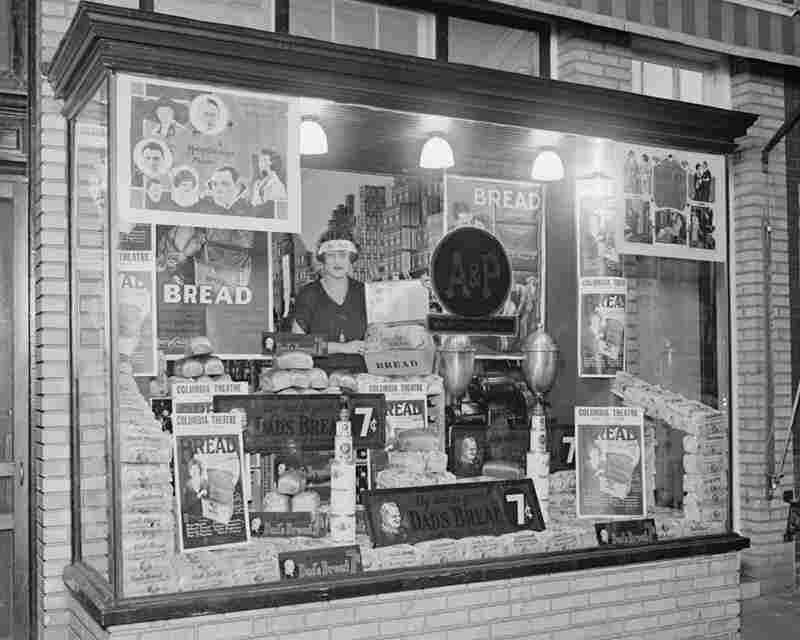 How The A&P Changed The Way We Shop The A&P changed the way Americans do their grocery shopping, but it did so at a cost — thousands of mom-and-pop corner stores closed as the chain grew. 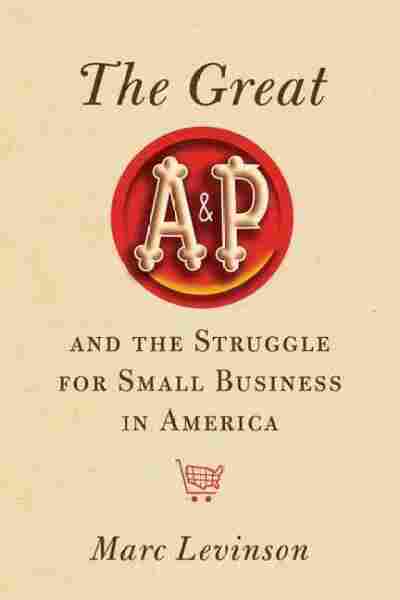 Economic historian Marc Levinson chronicles the rise and fall of the grocery giant in The Great A&P and the Struggle for Small Business in America. In 1938, A&P had more than 13,000 stores from coast to coast, like this one in Somerset, Ohio. Over the next four years, the company's transition to a new supermarket format would cut that store count in half. Walk into any big-box grocery store today and you'll likely push your shopping cart past 30 varieties of condiments, 50 different cereals and a plethora of produce options. All of the items are clearly priced — and anything you might need for dinner, dessert or a snack is likely located in one of the aisles. But this wasn't always the case. In the early 20th century, a typical corner grocery store fit into the size of a large living room. Canned goods lined the walls, while a small number of root vegetables may have been available behind the counter. Instead of putting groceries into your own cart, you'd ask the shopkeeper to retrieve them for you — and those items didn't include bread or meat, which would have required a separate trip to the baker and the butcher. Most kitchen staples — things like flour and sugar and wheat — were kept in large barrels and then measured out by the grocer himself. "You'd ask for a certain weight of cheese, you'd ask for vinegar," says economic historian Marc Levinson. "The vinegar was not bottled; it was in a barrel and the shopkeeper would pump it out into a small jar for you. If you wanted some pickles, they'd be in a barrel, too. A lot of things would be in bulk, and the shopkeeper was responsible for giving you the quantity you wanted — or the quantity he'd feel like giving you. Because every store had a scale and the scale might or might not be accurate." In a new book, Levinson explains how local mom-and-pop stores — with their limited selections, high prices and nonstandard packaging — paved the way for national chains like the A&P to swoop in and dominate the grocery industry. His book The Great A&P and the Struggle for Small Business in America chronicles the rise (and fall) of the discount grocery chain that was once one of the largest businesses in America. Levinson tells Fresh Air's Dave Davies that it was no coincidence that a national chain replaced the corner store. "People get misty-eyed at the thought of the independent store — maybe it had some unique product, maybe we had more choices than we have today — but the truth was exactly the opposite," he says. "Most of these stores had a very limited selection. They had no unique products at all. 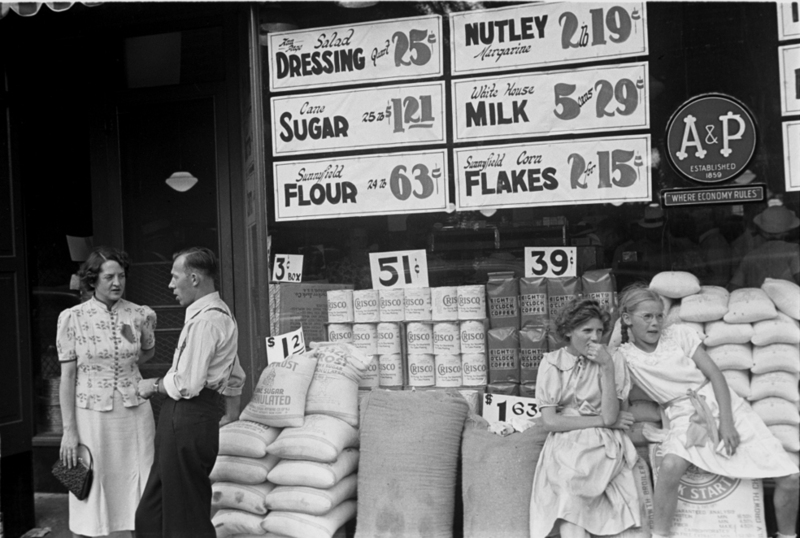 ... [Shoppers] would have to go to two or three different grocery stories in their neighborhood if they wanted different type of goods, plus the butcher, the baker, and the fruit and vegetable store. ... The consumer's choices were pretty constrained." 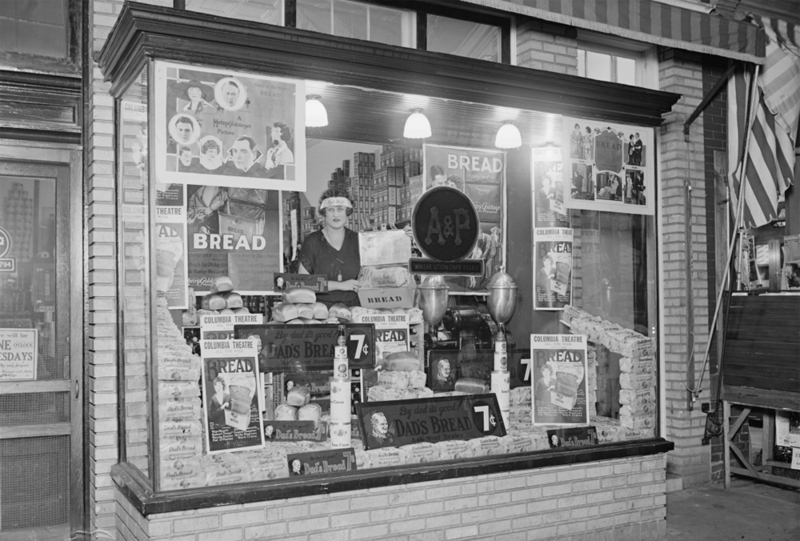 A woman stands in the bakery window of an A&P storefront, 1924. Enter the A&P. The company, which originally focused on the tea market, opened its first small grocery store in 1912. Unlike traditional mom-and-pop stores, the A&P had no telephone, no credit lines and no delivery options. They also had lower prices. "People figured out they could save money by shopping there," says Levinson. "It stocked only items that were fast-sellers, so it wasn't stuck with an inventory of products no one was buying. It had limited hours. It had a single employee. ... They found a way to sell groceries cheaper. ... Within eight years, this approach turned their company into the largest retailer in the world." By 1930, the Hartford family, which owned A&P, had opened up almost 16,000 more stores. The stores themselves also expanded in both size and selection. "Some of them started carrying meat, some of the stores started carrying dairy products," he says. "And the Hartfords also decided to expand into manufacturing. This was a pretty dramatic idea. The idea was that the A&P could buy bakeries, could buy salmon canneries, could buy vegetable canning plants, dairy plants, and [the company] could run these to supply its stores." 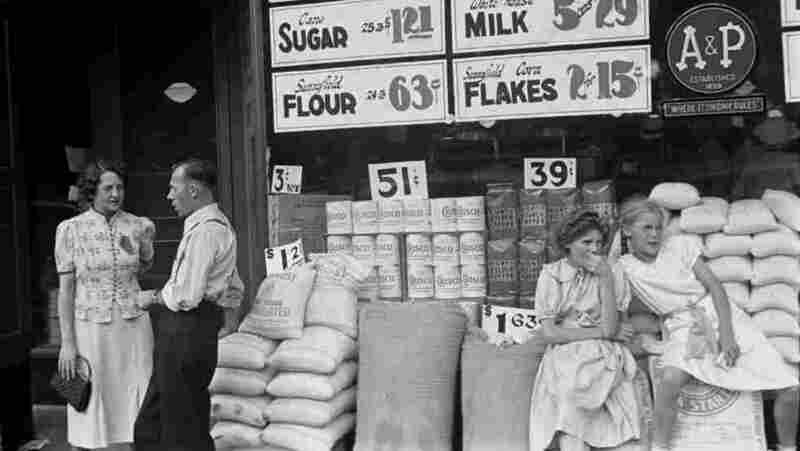 Controlling both the retail store and the supply chain gave the A&P a huge advantage over corner grocery stores because the A&P could run the factories at a lower cost. In addition, the A&P started to bypass wholesalers and go directly to distributors for various products. "Typically the manufacturers of food would go directly to the wholesalers because they didn't want to deal with hundreds of tiny grocery stores — and the wholesalers would sell it to the retailers, and they would take a cut," says Levinson. "The Hartfords said to the manufacturers, 'We want to buy from you directly. We want you to sell us huge quantities, we want them on these terms, and we want them delivered in this way.' "
A&P started getting its products at much lower costs than its competitors — and passing those savings onto customers. But those competitors were not happy. Efforts to limit chain stores grew in the 1920s, when states and localities began passing laws designed to help independent merchants. "There was a lot of concern along the lines of 'What's a man to do?' " says Levinson. "In the past, young men who wanted to come up in the world have always been able to start businesses like grocery stores. But now, you've got these gigantic companies like A&P dominating retailing and wholesaling and not leaving a chance for the average guy. That was the basis of the complaint[s]." State laws were passed to force manufacturers to sell to all stores at the same price and to tax merchants with multiple stores in a case. An antitrust suit was also filed against the A&P, claiming that it had become a food monopoly because it controlled all aspects of manufacturing, retailing and wholesaling. But the movement lost steam in the late 1930s, when the economy started to pick up. "By late 1939, unemployment was starting to fall, prices were starting to rise," he says. "And you had full employment in World War II. The fate of mom-and-pop merchants was not the political issue that it had been during the Depression. After the war, you had huge changes in American society — and people liked the idea of shopping at a larger store ... and they didn't like being told that they were supposed to do business with a little independent grocer who didn't offer them many choices." 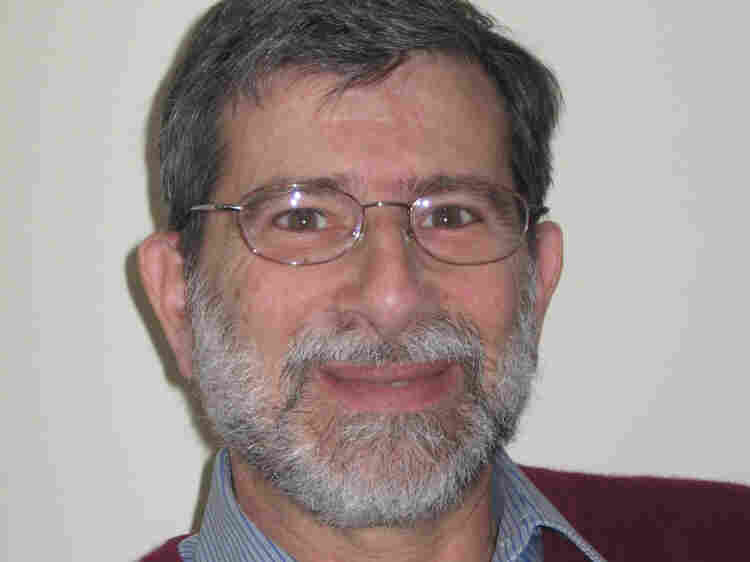 Marc Levinson is also the author of The Box: How the Shipping Container Made the World Smaller and the World Economy Bigger. "In [supermarkets], you needed workers who were specialized because the store was so large. So you had some workers who just handled boxes. You had some workers who just handled the cash register. So workers' lives in general became more specialized and more regimented. This was not a personal business like running a small grocery store. In a supermarket, you were likely not to know your customers, you had masses of people coming through, and you simply had an hourly job." "A&P had very powerful brands. They had a brand called Jane Parker that it used on baked goods. A&P had 8 O'Clock Coffee. So it wasn't just the stores. It had a reputation for high-quality merchandise, much of which is manufactured. The supermarket really gave A&P a way to push those products through the system." "Wal-Mart has received a great deal of criticism for many of its techniques, such as hard-bargaining with suppliers. Most of that was started by A&P back in the 1920s. Wal-Mart has learned a lot from A&P's experiences and has followed many of the same methods of reducing costs. ... Wal-Mart is a publicly traded company, whereas A&P didn't have to answer to anybody. A&P was a strongly anti-union company just as Wal-Mart has been. A&P was anti-union for many years and only accepted them during the Great Depression."